See, your king comes to you, gentle and riding on a donkey, on a colt, the foal of a donkey. 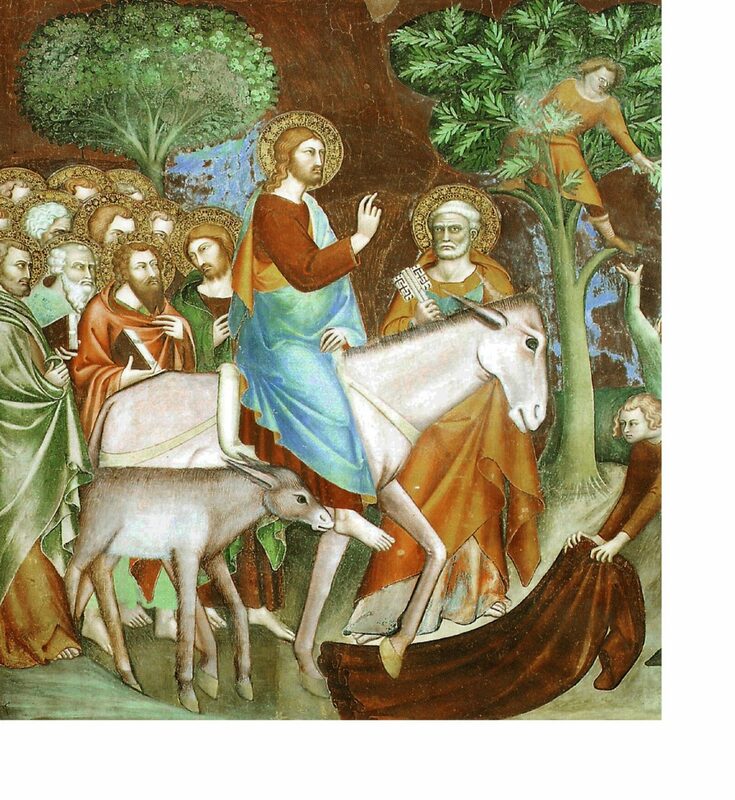 The focus of the Palm Sunday account is on Jesus, not on the crowd nor on their response. Jesus is meek and lowly. The donkey is a symbol of his gentleness and humility. Thus Jesus enters the Year of Grace to give hope to the hopeless, to give courage to those who cannot bear to even think of another day, and to offer forgiveness to those who are consumed by the pervasive malignancy of their daily rebellion against God. And cover with His grace. Matthew 11:25-30 – Sermon for the Feast of St. Matthias, Apostle.